RoR is one of the fastest and most reliable frameworks for backend web development. Ruby is also an incredibly powerful language so there’s a lot you can do with Ruby on Rails. But learning all the little intricacies can be a challenge. And for this post I’ve curated the top 15 RoR books ranging from complete materials up to more advanced concepts. This post should have enough resources for all skill levels to help anyone climb the ranks as a Ruby on Rails developer. If you’re not sure where to start I recommend a copy of the Ruby on Rails Tutorial Book. It’s absolutely massive and it can take any beginner through the whole process of configuring, customizing, deploying and maintaining an RoR application from scratch. Many RoR books focus on big picture projects that delve right into the deep end. This can be challenging for beginners so Learning Rails 5 takes the opposite approach. 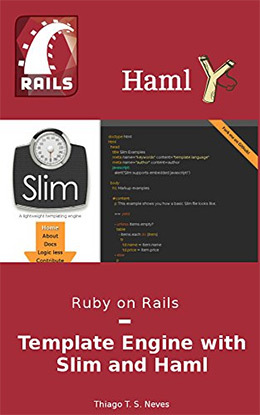 This book spans 450 pages full of exercises that focus on key fundamentals of Rails development. You’ll learn how to build with the MVC architecture studying models, views, and controllers individually. Later chapters get into REST development slowly moving into more complex examples. You’ll learn how to handle uploaded form data, custom routing, and basic debugging for larger RoR applications. Much of the source code has been updated for Rails 5 but there are some minor code errors. However this shouldn’t turn you away from the book since the writing and in-depth explanations are exquisite. And you can find all the codes(fully updated) on this GitHub repo accessible at any time. This is without a doubt the most detailed Rails book you can get. The title is a little bland but the content of Ruby on Rails Tutorial: Learn Web Development with Rails should keep you busy for weeks on end. With this book you get over 800 pages packed full of exercises made for the beginning programmer. You should already understand some basics about Ruby, but truthfully you could pick this up as a beginner too. The author Michael Hartl received a Ruby Hero award for his work in the industry so he knows his stuff. But beyond the technical prowess you’ll find an easy-to-read writing style that just makes sense. This book will help you learn Ruby on Rails through practical exercises using MVC and test-driven development. But this book will also help you learn web development from the viewpoint of a backend developer. I would highly recommend this title to anyone just breaking into RoR or web development. These exercises can take any beginner and mold them into a competent developer with enough fundamental knowledge to continue learning on their own. This is not a book on RoR but it does cover the core of Ruby, a valuable topic to learn before diving into Rails. Head First Ruby uses lots of visuals and diagrams to explain how Ruby works and why it’s such a powerful programming language. RoR is merely a framework built on top of Ruby. So if you don’t know Ruby then you won’t be able to learn Rails. Thankfully this guide offers more than enough info for a complete beginner. It covers about 570 pages full of Ruby exercises starting with the basics like methods, variables, parameters, and classes. You’ll learn through real-world exercises and the book uses plenty of graphics to keep you interested in the material. 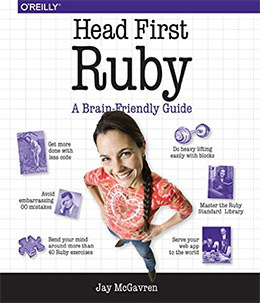 Head First Ruby would be my top recommendation for any programmer who wants to learn RoR but doesn’t know Ruby. start with this book and practice the fundamentals. You will have a much easier time moving into RoR once you fully grasp how Ruby works. One alternative you might like is The Ruby Programming Language which also focuses solely on Ruby. However that title is much more technical so for an absolute beginner I’d suggest Head First Ruby. This is one of the newest books in my list and it covers a very specific topic. 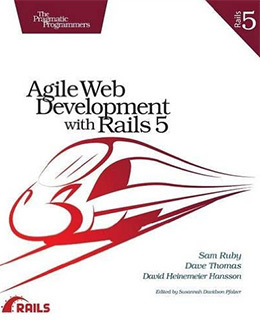 Agile Web Development with Rails 5 focuses on modern RoR development from an agile standpoint. Early chapters introduce Rails and teach you how to setup an RoR dev environment locally for Windows, Mac, and Linux. From there you’ll learn how to architect an application by structuring a database and practicing MVC programming patterns. 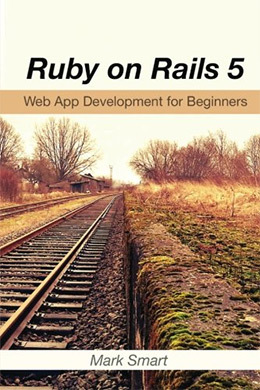 The author Sam Ruby spends most of the book teaching you how to build a Rails 5 app from scratch. But he teaches Rails with an agile process where you’re constantly working to create new features quickly. Agile development is all about creating fast and solving problems as you go along. This is more of a mindset than a coding practice, but it works well with a Rails dev environment. I recommend this book to new developers who want a fast jump into RoR. It’s 450 pages long so it is a lengthy read, but the materials feel light enough that you shouldn’t get too bogged down in the details. Every SitePoint “novice to ninja” book that I’ve read has been superb. And Rails: Novice to Ninja is no different. It’s a fairly recent book so the contents are fully up-to-date with the newest versions of Ruby and Rails. Each chapter covers a different concept and the writing style is made for complete beginners. You’ll start by learning the fundamentals of Ruby programming and the Rails framework. This leads into Ruby programming fundamentals and setting up an RoR environment locally. The later chapters get into MVC, RESTful development, and other crucial concepts for building functional Rails applications. 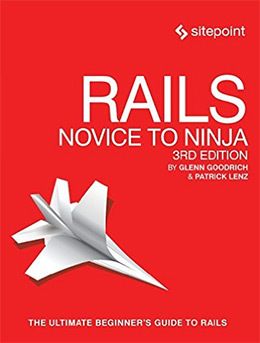 Rails: Novice To Ninja is a superb title. It’s best suited for non-technical coders who are just getting into the programming space. You don’t need much(or any) working knowledge of Ruby which makes this a great book from all angles. You’ll learn the basics of Ruby, Rails, and MVC programming as a whole. This book may not make you a Rails ninja as the title suggests. But it will take you from a complete novice to a very competent developer. 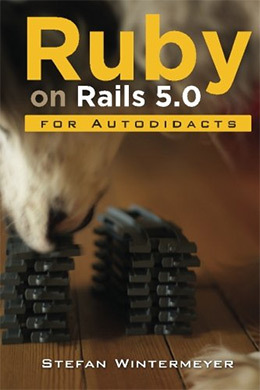 In the realm of wacky book titles I really love Ruby on Rails 5.0 for Autodidacts. If you’re sitting there confused, “autodidact” is a fancy word for a self-taught person. This book teaches you how to write Rails and build custom applications from scratch. Each chapter introduces new lessons that build up to a fully-functional Rails application. By the end of the book you should understand the RoR environment, database calls, REST APIs and MVC architecture(among other things). The author Stefan Wintermeyer uses lots of visuals and diagrams to explain the more complex topics. And Stefan delves into a variety of topics like routing, sessions, caching, and custom templates. You really can pick up this book as a beginner and teach yourself. It works great as both a huge tutorial and as a reference guide. If you learn best by following instructions and building practice applications then this book is for you. The author of this book John Elder has years of experience with RoR. He was actually a teacher on Code Academy so he knows how to reach novices to help them grasp the important concepts. 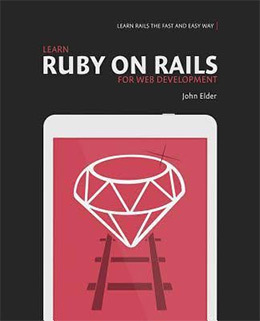 Learn Ruby On Rails For Web Development is a powerhouse of a beginner’s book. You do not need any programming experience to dive in. John teaches the fundamentals of Ruby, Rails, and everything else that you need to learn all in one place. The early chapters help you setup an environment and a local Rails server/database. 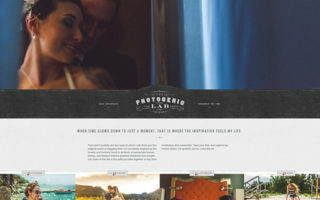 From there you follow a series of tutorials that help you build a Pinterest clone social network on the RoR framework. You’ll learn everything about routing, MVC structure, CRUD, and more advanced features like custom pagination. It does help if you already have some frontend dev knowledge but you don’t need any prior experience programming on the backend. This is yet another incredible title that can help beginners learn Rails with a guided tutorial covering all the basics. By the end you’ll have a real sense of accomplishment and you’ll know how to structure any new Rails application from start to finish. 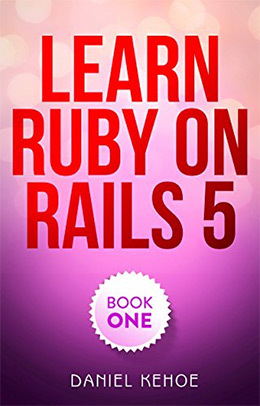 You might assume that Learn Ruby on Rails: Book One is just a series of tutorials with multiple books. I have not seen a “book two” yet but I can say that this book is enough for complete beginners. It’s only 160 pages and it’s dirt cheap. In fact this is by far the cheapest book in this entire list. But the low price tag does not denote a cheap learning experience. 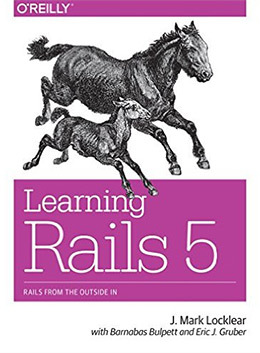 You can pick up this book with no knowledge of Rails and walk away with at least a foundational understanding. The author covers everything from server setup to MVC/CRUD workflows and unique features like Ruby gems. 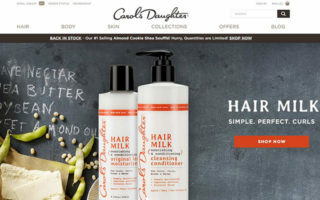 Later chapters cover individual concepts like building a contact form, creating a dynamic homepage, and learning to send e-mail from RoR. I like this book’s approach but can’t say it’s the best for everyone. It is a tad light on content so if you want a full overview of Ruby & Rails then a book like Rails: Novice to Ninja might be better. This is one of the best intermediate-to-advanced programming books covering Ruby and the Rails architecture. Practical Object-Oriented Design in Ruby doesn’t take a strict RoR approach. 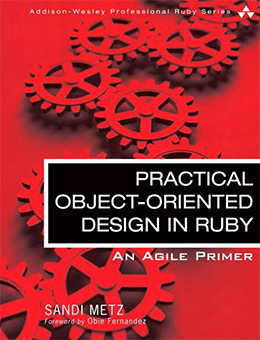 Instead it uses the Ruby programming language as a focal point to explain agile development and proper OOP concepts. With this book you’ll learn how to structure, maintain, and scale large web applications using Ruby. 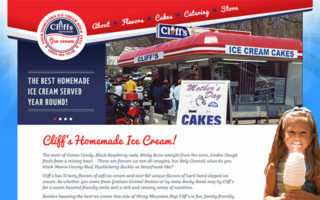 Topics include custom Ruby classes, object creation, inheritance, and testing. This is one of the few books that can take a semi-competent developer up to a professional. And surprisingly you don’t need a deep understanding of Ruby to get through this book. All you need is some practical knowledge of Ruby and a willingness to change how you write code. It may feel strange to pick up a book telling you what not to do with your code. 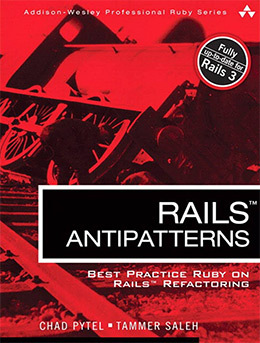 But Rails AntiPatterns is the best resource for beginners and advanced RoR coders who want to build maintainable, secure, and scalable Rails apps. The book spans 400 pages and it reads much like a cookbook. Each chapter details a certain anti-pattern explaining common pitfalls, why it doesn’t work, and how to avoid these issues. You’ll learn how to refactor bad code and how to write clean code from the very beginning. Various topics include OOP structures, database/SQL optimization techniques, domain modeling, scaling, deployment, and problem solving with 3rd party libraries. I absolutely recommend this as the best resource for learning professional Rails development. If you want to write apps for a living then Rails AntiPatterns is a must-have book to teach you all the best practices that a Rails developer should master. More experienced programmers may want to skip all the basics and dive right into Rails. That’s what you’ll find in RoR 5: Web App Development for Beginners which only has about 100 pages of content. Each chapter moves quickly through the Rails environment setup, test-driven development, MVC development, and basic tutorials on authentication + user account creation. In only 100 pages you can quickly pick up a working knowledge of Rails without the over-explanations found in other books. You do need a solid understanding of Ruby for this book. Even though it is titled “for beginners” it doesn’t explain much about the programming language itself. This is perfect for no-nonsense developers who already know Ruby but don’t know anything about Rails. In 100 pages you’ll go from a beginner to a truly competent Rails dev with a working knowledge to keep teaching yourself as you go. 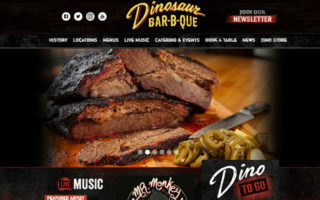 Modern webapps usually work with some templating language. PHP has picked up Vue.js and Rails can work with many alternatives like Haml, ERB, or Slim. The book RoR Template Engine with Slim and Haml covers both Haml and Slim in great detail. It’s about 160 pages long explaining the default configurations and how these templating languages work. Rails does come with its own templating language called ERB. However many devs prefer to change this and Haml is one of the more popular choices. This book is dirt cheap so it’s a great resource for anyone with no templating experience. There aren’t many online tutorials covering Haml or Slim, especially not in a Rails environment. With such a low price and a good amount of detail I would definitely recommend this book to any practicing Rails developers. The title of this book may throw you off since it does cover an older version of Rails. However Rails 4 Test Prescriptions doesn’t specifically cover the methods or functions of Rails. Instead this book teaches you how to run tests to optimize and maintain your Rails applications. Over 350 pages author Noel Rappin teaches through example with lots of tests and sample codes to look through. You’ll learn how to write tests suited for any scenario while also keeping your tests lean & optimized. You’ll also learn about 3rd party tools that can be used for testing like RSpec, Factory Girl, Mocha, and Cucumber. This is not a beginner’s book. It is made specifically for Rails developers who already understand how to build applications, but maybe don’t know how to debug & test their applications properly. 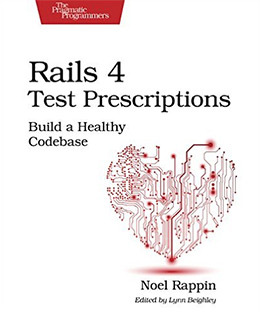 If you’re in the intermediate-to-advanced range then definitely consider adding Rails 4 Test Prescriptions to your bookshelf. The best way to master Rails is to master the Ruby programming language. 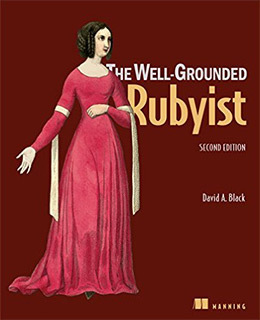 There are many books on this topic, but the one I always recommend is The Well-Grounded Rubyist by the very skilled David Black. David has been writing Ruby code since late 1999 and worked as a contributor to the Ruby codebase. He clearly has a detailed working knowledge of Ruby which shines through in his writing. This book can work for beginners but it’s mostly for semi-experienced programmers who want to master Ruby. It has over 500 pages full of exercises and detailed explanations for important concepts like objects, variable scope, modules, and regex(among many others). If you’re a novice programmer and feel confident that you can teach yourself then pick up a copy of this book. It may take months to complete but you’ll learn enough about writing Ruby code that you’ll feel incredibly comfortable moving into Rails. Or if you already understand Ruby but want to master the language this book is also an excellent choice. Bottom line The Well-Grounded Rubyist is the definitive guide on Ruby coding, testing, and best practices. It’s great for all skill levels and these lessons will leak into your RoR work too. I’m a big proponent of Manning’s “in action” series. Their books are so practical and the lessons are always crystal-clear. 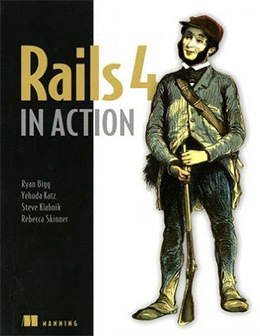 This is all true of Rails 4 in Action which at the time of this writing is the most current version of the book. It does cover Rails v4 which is now outdated, but the lessons and practice exercises are exquisite. Through mini-lectures and detailed exercises you’ll master the fundamentals of Rails including MVC architecture, RESTful routing, sessions, emails, and testing/deployment(plus a lot more). Unfortunately even with all the great content it still may not be the perfect choice. It is practical and it does teach through quality exercises. But until Manning updates this to “Rails 6 in Action” it will feel outdated. We have a detailed review of this book if you want to read more. But complete beginners may be better off with a newer book like Rails: Novice to Ninja or even Learn Ruby On Rails For Web Development. With so many books to pick from it can feel overwhelming. Thankfully all of these titles are incredible so you really can’t go wrong! 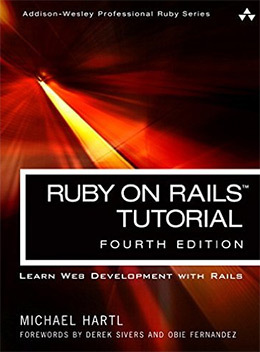 For absolute beginners who want some hand holding check out the Ruby on Rails Tutorial Book. 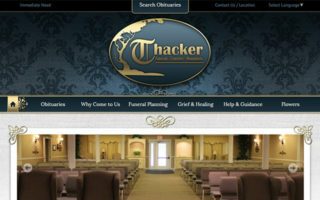 It’s long and very detailed following a step-by-step approach. 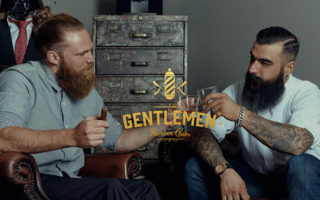 But if you’re a beginner and want to dive right into the action I’d recommend Learn Ruby On Rails For Web Development which teaches you how to create a custom Pinterest-style app from scratch. Intermediate-to-advanced programmers might enjoy Rails AntiPatterns for the common pitfalls and sound advice from skills RoR devs. But there are two titles I would absolutely recommend for semi-skilled devs: The Well-Grounded Rubyist and Rails 4 Test Prescriptions. Both of these titles can take you from a so-so developer to a professional with a deep understanding of Ruby + Rails development. There is no single “best” book here since it all boils down to your current skillset and how you learn. But take another look over this list and if any titles catch your eye be sure to check them out.